Let me start by saying I hope each and everyone of you had a wonderful Christmas and a very happy New Year. With the first week of January almost over it’s back to work for most of us, hopefully with a renewed vigour and a determination that 2015 will be our best yet! I know I’m not alone as I look forward to the twelve months ahead. Today’s guest, author and fellow RNA member, Natalie Kleinman, has exciting plans afoot too. Having had a very exciting and busy 2014, here she is to tell us all about it. I’m delighted to be joining you today, Suzie. Thank you. As we begin a new year I know I’m not alone in asking where did the last one go. Mine was pretty full on so perhaps you won’t mind if I tell you a bit about it. 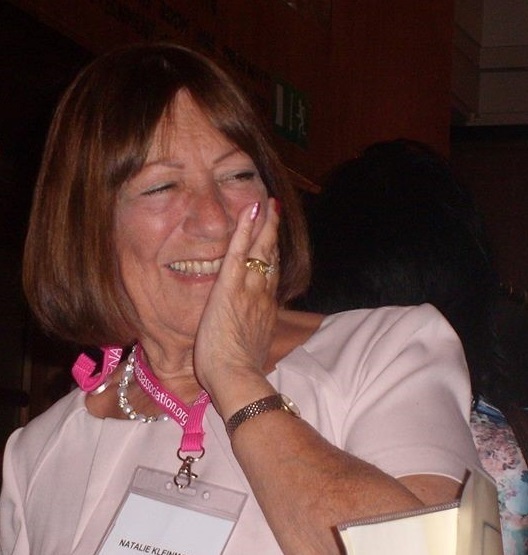 Not content with becoming a blogger for the first time, not only did I undertake to run the Romantic Novelists’ Association (RNA) twice-weekly blog with Elaine Everest, I also became part of a five-hander, all of whom are members of the RNA, and all short story and novel writers. At the end of 2014 we disbanded and I will explain why below. It was a steep learning curve and the fact that one is with Blogger while the other was with WordPress didn’t help in the initial stages when I was trying to get to grips with what was for me a new concept. What a great experience and I’ve met and friended many new people along the way. Having graduated from the RNA New Writers Scheme when Safkhet Publishing took my debut novel in November 2013, I waited anxiously for its publication, spending the first six months of 2014 selling short stories and writing the next book. This was a pocket novel, After All These Years, (DC Thomson) and was published in July just a few weeks after Voyage of Desire (Safkhet Publishing) appeared on Amazon. Imagine my dismay when I heard almost immediately that Safkhet were changing their operation and there would be no possibility of my book ever appearing in paperback form if I remained with them. Like every writer, I had a dream to hold my book in my hand and it was by mutual agreement that we terminated the contract on 31st July and Voyage of Desire was withdrawn. Like any good book, this is not the end of the story which, if you write contemporary romance, needs its happy ever after. In July I attended the RNA Annual Conference in Telford and if there is one event in the writing calendar that I would choose NOT to miss it would be this. Spending time with other writers and taking advantage of the workshops, seminars and activities on offer was one of the highlights of my year. That would be in addition of course to the partying and consumption of copious quantities of red wine! The biggest thing I took away with me though was that, following a one2one industry interview – yes, they’re available too – with Lisa Eveleigh of the Richford Becklow Literary Agency, Lisa agreed to represent me. With her help and guidance Voyage of Desire has now been re-issued on Amazon with a new cover under a new title, Safe Harbour (CreateSpace) and yes, I have held it in my hand and it has pride of place on my bookshelf. How’s that for a dream come true! I have finished the first draft of my next book and am in the process of editing. This will take some time as I am also changing the chronology. No-one said it was going to be easy! I’m hoping to get it back to Lisa in a few weeks. So from being a short-story writer I have become an author with two books published in 2014. It seemed as my career has changed so dramatically that it was time I ran my own blog and I hope you will come and visit me there. Consequently, working on the premise that two blogs are more than enough for anyone, I have withdrawn from the WriteMindsWritePlace team and I thank all the members who joined me in that venture and wish them all well in their writing careers. What else? Ah yes, I enjoyed a couple of days in the Cotswolds with my husband on the pretext of researching for my new book. It’s an area I love and has figured in both my books so far. Why would I change? The year drew to a close with the RNA Winter Party and a Christmas outing for students of The Write Place Creative Writing School which I have attended for the past three years and which is run by Elaine Everest to whom I owe so much. 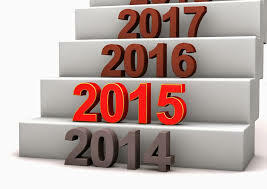 2015 has a lot to live up to – bring it on! Natalie lives with her husband, Louis, in Blackheath in southeast London. She has been writing ever since she abandoned an Open University general science degree course after two years of rewarding but brain-addling study. A graduate of the Romantic Novelists’ Association New Writers’ Scheme, Natalie has also sold twenty-five short stories worldwide in the past two years. Her first two novels, Safe Harbour (previously Voyage of Desire) and After All These Years, were published in the summer of 2014 and her work has appeared in anthologies. A great read, inspirational. What a great year you’ve had, Natalie. Congratulations and good wishes for your future success. I can’t wait to read your next, be it novel or short story or… Suzie, I shall now discover you.! Thank you for your good wishes, Moya. I doubt if 2015 can possibly live up to its immediate predecessor but I’m going to give it a jolly good try! Congratulations and thanks for sharing. Wishing you much future success. Thanks Suzie for this interview 🙂 Happy 2015 everyone. I’ve just been on my own blog commenting on work areas. After trying a dedicated office I found I was much more comfortable back at the dining room table. Now I’m interested to know what other people’s preferences are. I wish you joy of your summer house – and that the garden shouldn’t prove too much of a distraction! A romance in the summer house, though. Now that sounds good to me.